It's easy to learn when you're having fun. Dave Wilbur's Rock Lab has been in business since 1991 and is a favorite of both parents and students for music instruction. Our goal is to provide students at any age with a fun learning environment where they can explore and enhance their musical talents. 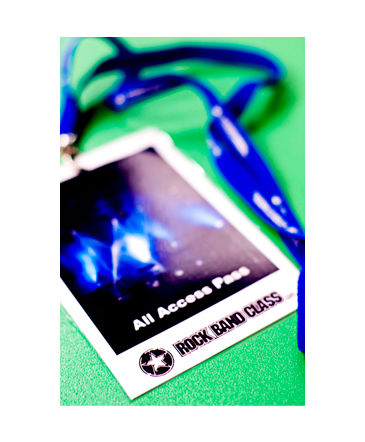 Our specialized programs are designed to give students a full circle of knowledge and experience through both private instruction and the Rock Band Class program. The curriculum we've designed is both challenging and rewarding, and with it our students gain the knowledge and skills needed to reach their musical goals. Our Rock Band Class program provides students the opportunity to put their musical skills into a band context, both through rehearsal and concerts. Rock Band Class is a semester of teacher-guided band rehearsals where students practice with their peers as they prepare for the end-of-semester live rock concert. Our students who've gone on to earn scholarships, awards, and to work in the music industry attest to one simple fact: we at the Rock Lab are simply the best at what we do, and the only music school in Utah County to offer this unique music learning experience.